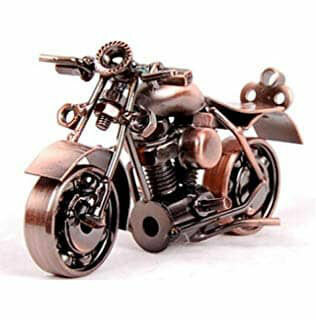 Some BABETTA Motorcycle Manuals & Wiring Diagram PDF are above this page. In the distant 1928, a Slovak engineer named Roth, the owner of the arms factories in Bratislava and Brno, opened another factory in the town of Povazska Bystrica. In 1948, after the Second World War, the plant received the name that it still wears "Povazske Strojarne". The production of weapons was reduced, and the plant began to look for an alternative to its products, so a contract was signed with the JAWA (PDF Manuals page) plant for the joint production of motor vehicles. The first result of the joint work was the Manet 90 motorcycle, and at the end of 1955 the Pionier 50 scooter with a three-speed gearbox was launched, followed by the Pionier 550, 555, JAWA 20 and 21 also known as the Mustang, and the Pionier 555 was produced under license in India and Egypt. The production was not limited to the production of fifty kopecks and in 1956 100 and 125 cubed motorcycles Manet S-100 and Tatran 125 were exported to Hungary, Bulgaria, Romania and East Germany. It is noteworthy that the name Manet happened he named the mountains of Manin, which were visible from the window of the plant. This name could also be seen on refrigerators that were produced at the same time. 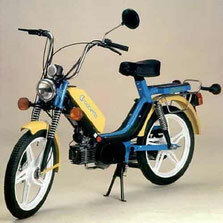 In 1973, the production of model 206 with 16-inch wheels began, it was exported to Germany, the Netherlands and the USA. 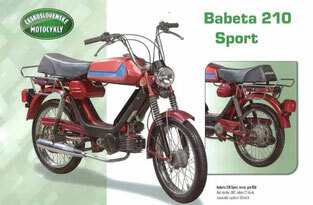 In 1974, Babetta 206 wins a prize in Germany for the best design, this year 18,000 pieces of equipment are sold to Germany, and 60,000 motorbikes are all produced. The new model of 1075-year Babetta 207 in all editions immediately sold to Germany. At this point, Motokov realizes its mistake and starts cooperation again, as a result of which new versions of the moped with a speed limit of up to 25 km / h for Germany and the Netherlands and 30 km / h for the USA are being manufactured. On the domestic market comes the model developing a speed of 40 km / h. But by the end of the 70's Motokov understands that nothing can last forever and again he washes his hands. In 1983, another model appeared - Babetta 210, with a two-speed engine. The previous single-speed model is still available for the German market. Babetta 210 again has modifications for different maximum speeds, but after engine fanning and small tuning it can develop speed more than 60km / h.
Read - KREIDLER Motorcycle Manuals PDF.